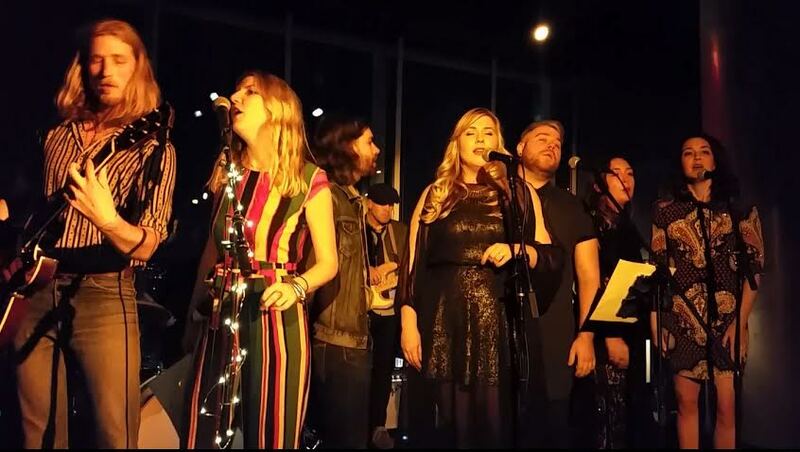 (Hollywood) Jessica Rotter launched her first album Friday night with a sky-high party and a “Purple Rain” tribute to the late artist, formerly known as Prince. The party, produced by BalconyTV’s Cindi Avnet atop the W Hollywood Hotel, was packed with friends, family and fans, all well warmed up in advance by the lively LA-based countryish-rock band, Bjorn, and the Sun. Flanked by her uniquely curated ensemble of musicians -- a mandolinist, a percussionist/rapper, three backup singers, a bass/slide guitarist, drummer, violinist, and cellist -- the TV actress/singer took the stage and without introduction opened with “Flying Off” from the new album Plains. It took the noisily happy crowd a minute to quiet down, but once they did, Rotter’s magnificent voice and warm stage manner made the connection and they were hooked. It wasn’t long before they were singing along. She gave us 11 songs, most from the album but she threw in a couple of surprises and mashups – “because everybody loves mashups” she told us. 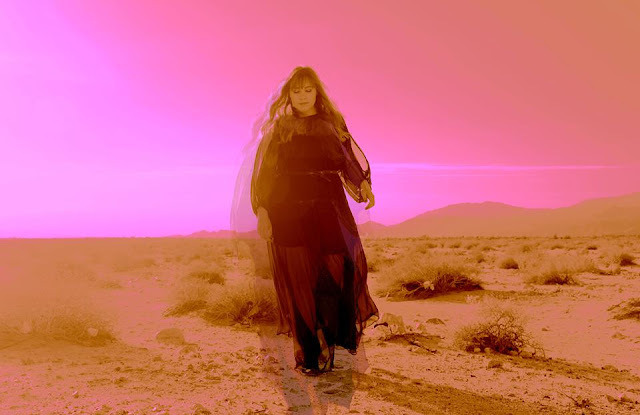 Songs ranged from the bass-led pop anthem “Pray for Rain” to the swirling sunshine of “Flowers in My Hair” and the incredibly poignant “Winter Sun”. She also delighted the audience when she announced that one song was written when she discovered she was pregnant. She wrapped up with “Porch Song”, a folk ballad that delivered a stunning emotional payload. But the crowd was not going to let her go and she easily acquiesced to the calls for an encore, bringing Bjorn and the Sun up on stage with her for a group sing of “Purple Rain” with the audience. Plains will have no trouble standing out in the expanding universe of female-led albums. Rotter has an innovative and deft touch with arrangements – the mandolin and Irish drums mixing perfectly with rapping, cello notes and hot guitar riffs – and a voice that can shift smoothly from inspiring to seductive to melancholy. Most of all, she has that unique ability to sing to you, whether it is from a stage or a CD or stream, her voice and lyrics get under your skin and talk to your DNA. That is a gift that that will propel Jessica Rotter’s star high in the music firmament.